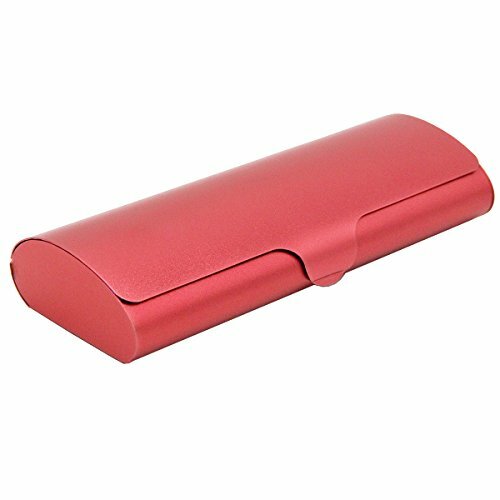 The material of this eyeglass box is made of Aluminum, and the elegant-simple design fit for anyone who have eyeglasses. Please measure your eyeglass size before you order,your eyeglass size should not over this size(Length：5.8inch Width：1.9inch Thickness：1inch ).you can refer to our standard size photo. Suede lined keeps lenses free of dust & scratches. Fitted with a black velvet inlay. Easy to open and close thanks to the snap lock. Light weight, pocket friendly size and simple appearance fit for men, wowen and students. Ideal for collecting your other small stuff, not only your eyeglasses. There are another size,appearance and material case to choose, welcome to our shop to refer it.